WANT TO EARN FROM $25,000-$100,000 A YEAR? AND MUCH MUCH MORE AS A MASTER NATURAL STYLIST!!! Or Pay $475 Tuition In Full Online. LARGER AREA QUICKER AND MORE EFFICINTLY . LAST LONGER THAN EVERDAY WEAR!! AND MUCH MUCH MORE AS A MASTER NATURAL STYLIST!! Make A $200 Deposit Toward Classes. IN A VAST SELECTION OF REALISTIC SYNTHETIC, HUMAN AS WELL AS EUROPEAN HUMAN HAIR WIGS. LEARN THE DIFFERENT TYPES OF LACE FRONTS, MONO -TOPS, & FULL VENTILATION WIGS. 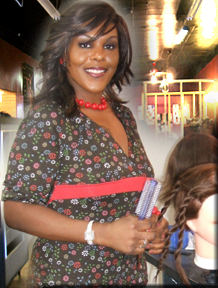 OF WIGS THAT ARE WORN AND ARE IN DEMAND BY BOTH EVERY DAY CLIENTS AND CELEBRITIES TODAY! COME LEARN THE SECRETS OF THE STARS!!! 30% Deposit Due To Reserve A Class And Final Balance Due On First Day Of Class.